A few new items for your viewing pleasure today! 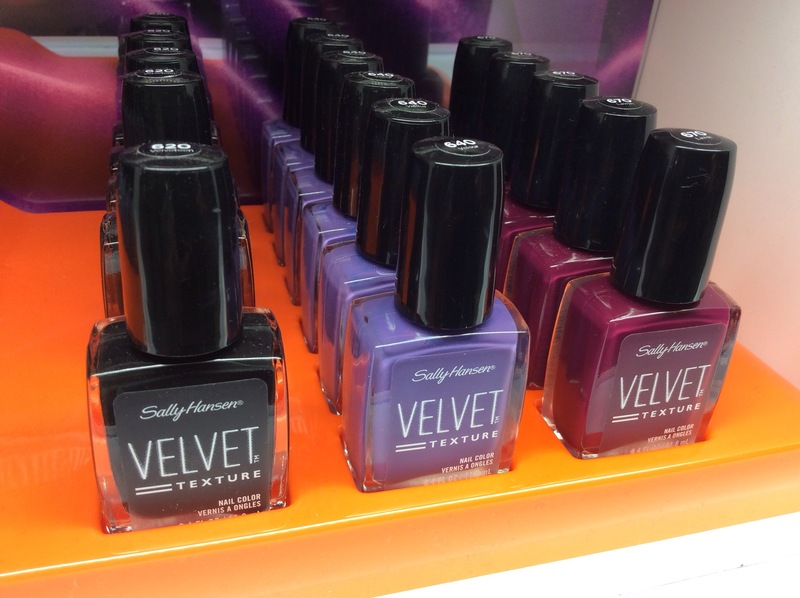 First up, the Runway Collection for Spring 2015 from Sally Hansen. £6.99 each. 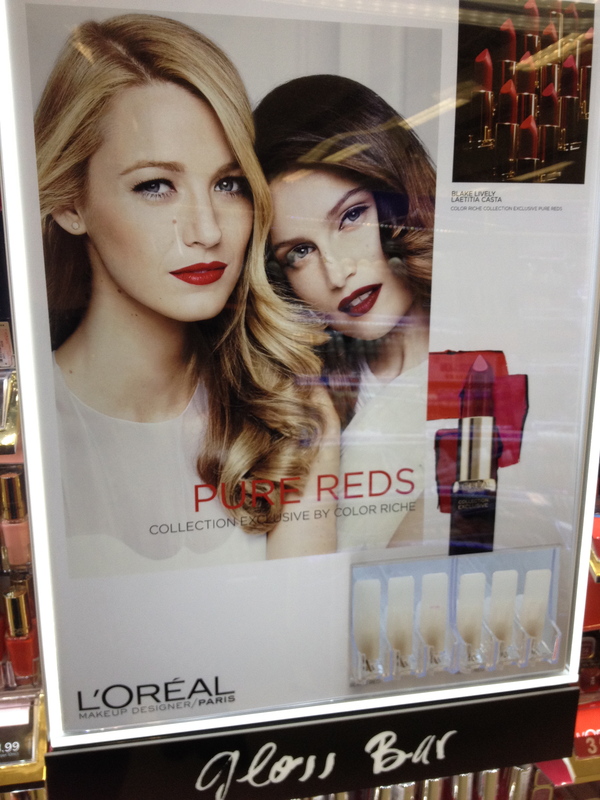 Then some new polishes in the Bourjois stands. The new shade are also creeping into the large freestanding stands. Still not seen the new cuticle oil pot, but when I do, you’ll know about it. Finally for today, new Jelly Bean polishes at M&S, five shades in the range assuming the finish is waxy-ish, like jelly beans. Yes, three pink/red shades, a blue and a yellow. I didn’t see the price point, but I’d guess around £4. Not on the M&S website at the time of writing this post. So there we go, a few new things. Let me know what has caught your eye in the comments. 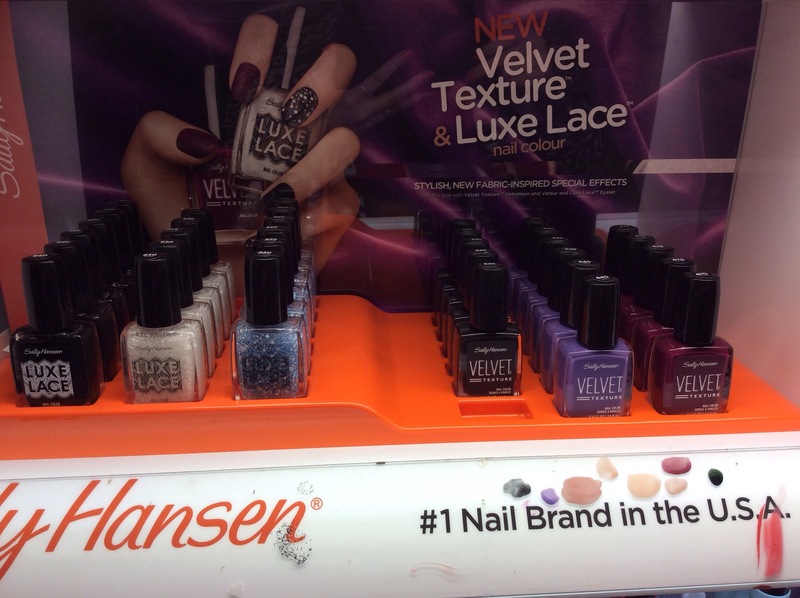 A new spot for you today – the Sally Hansen Velvet Texture and Luxe Lace nail polishes and toppers. Three in each line can be seen in the display insert. The velvets come in black, purple and raspberry. 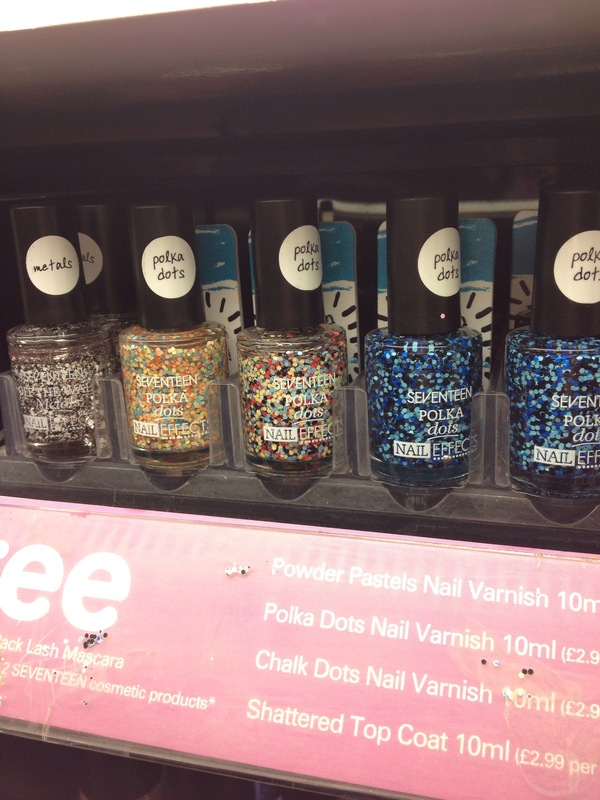 Then I also Spotted some new Seventeen polishes. These are all toppers for polish. First up, Polka Dots. 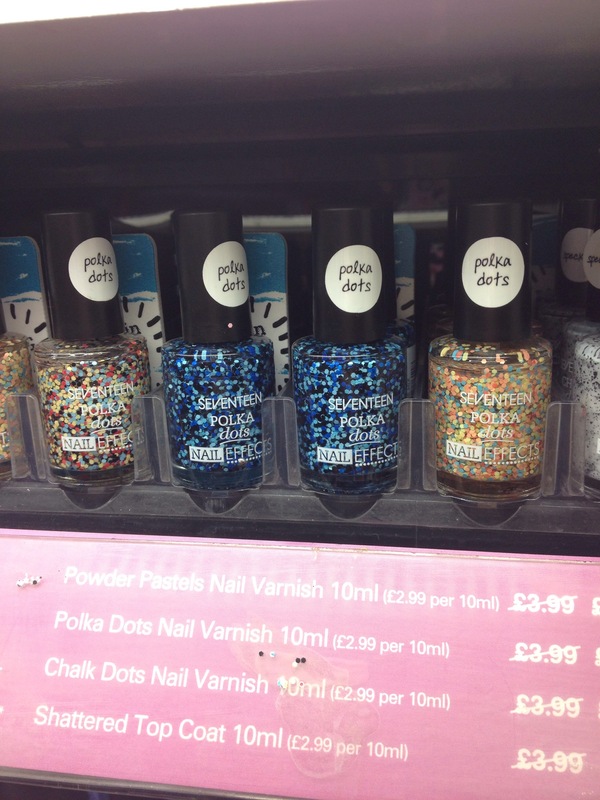 Then some Seventeen speckled shades…. close ups coming…..
And now the close ups of the Speckled shades. 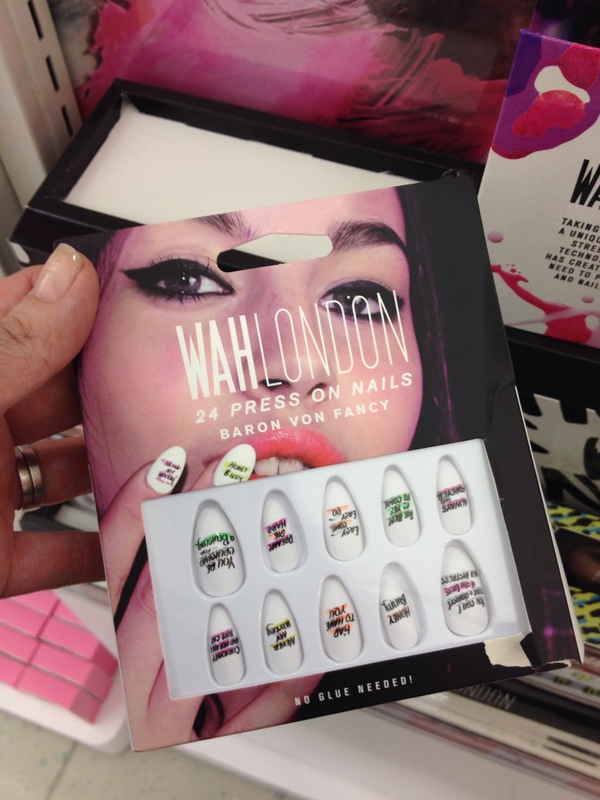 Then, I saw some of the new WAH false nails. 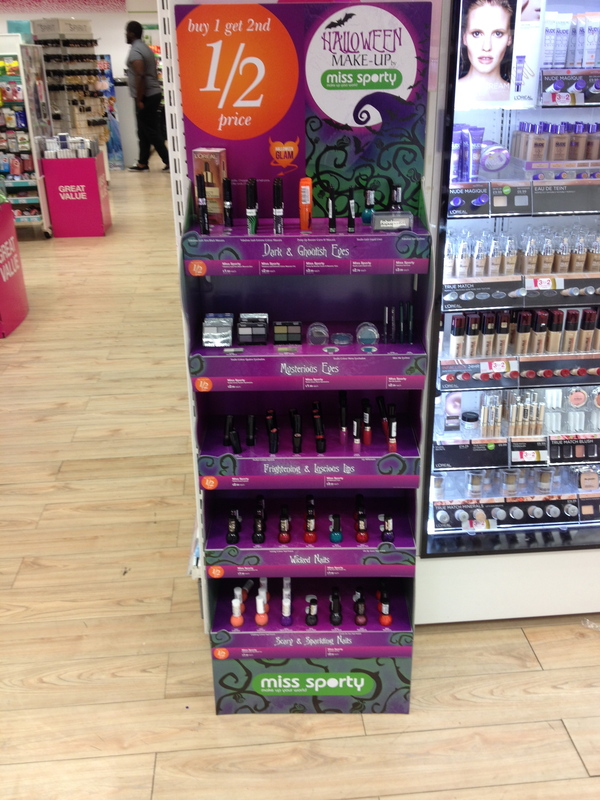 And finally, some of the new Essence collections out in Essence stands. 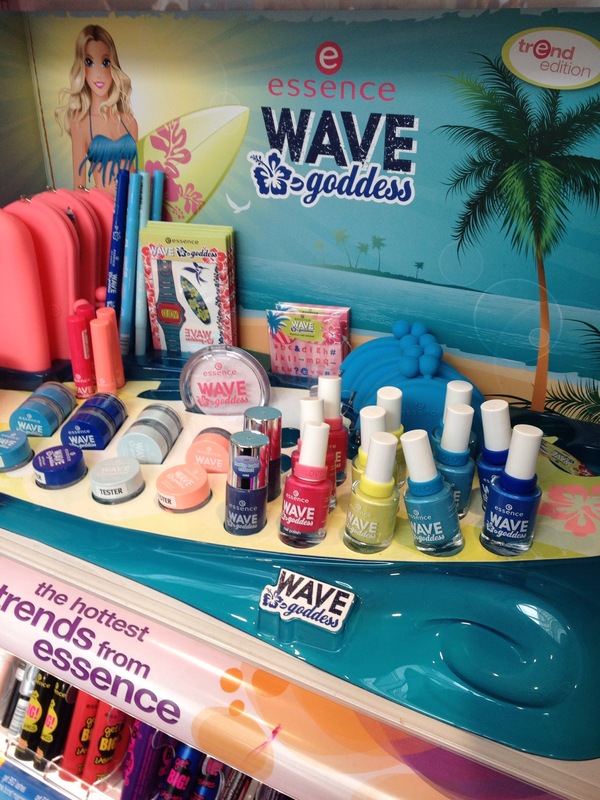 First up, Wave Goddess collection. So quite a few new things popping up – have you see any of these yet? Let me know in the comments. 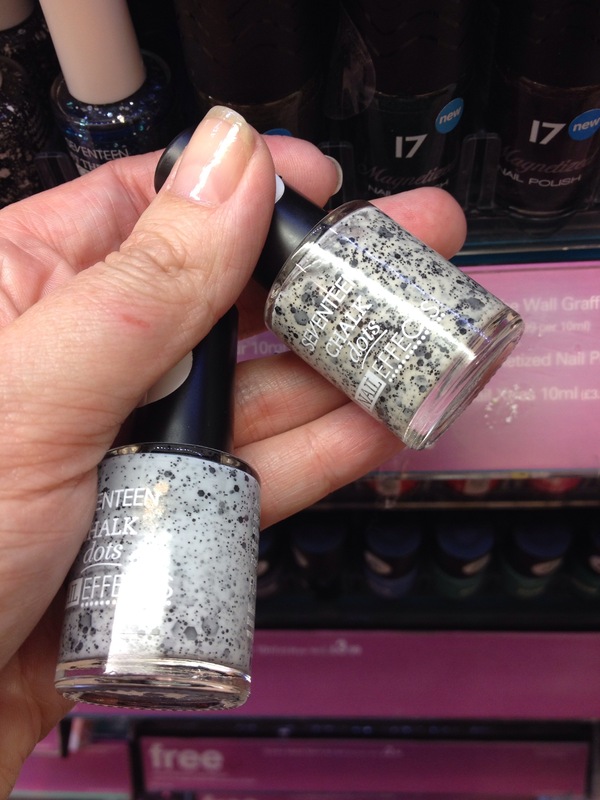 I thought I’d use the next couple of blog posts to catch up with some US Nail Polishes that I have recently been sent. Up first, I have one for you that I have worn a lot, particularly on my toes, and I have actually loaned this bottle to several friends as they all went a bit gaga for it. So I give you Sterling Silver, one of the new Sally Hansen Color Foils, part of a huge range of new shiny goodness! We all know that foil polishes can be a menace. They dry quickly even whilst you are on the first brush stroke meaning that you can often see your brush strokes. AND top coat makes them shrink onto the nail in a seriously unattractive way. That said, I love this and I love it hard. This is some silver polish. Formula is runny but not unworkable. It goes onto the nail quite fluidly but it dries fast. What you see above it two coats over a base of G&G Stuck on Blu! I probably should have used more of a ridge filling polish to provide more of a smooth base, but there you go. No top coat here. Without top coat, I probably get a day out of it. I did top up the tips and keep it on an extra day and that worked quite well. As I mentioned this is a US Edition polish. 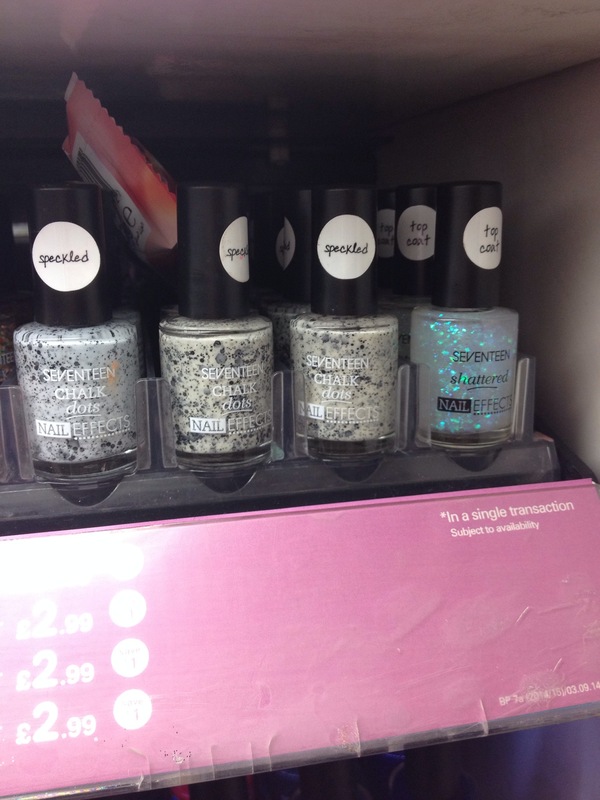 I have noticed several Sally Hansen lines, other than Complete Salon Manicure and Insta Dri, popping up in pound stores in the UK. 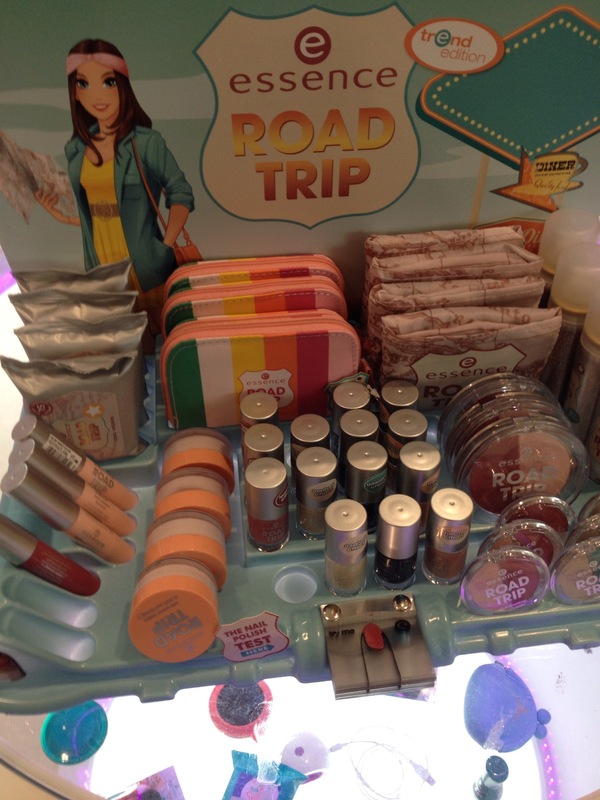 most recently, the Spring Jelly polishes from the Triple Shine line have been spotted. You can get the odd one on eBay or perhaps get a US based buddy to send them over. I can never quite understand why the SH range is so truncated in the UK, we’ve got a few bits and some glitter toppers, but I think they would make a killing if they broadened the range. Anyway, rant over! Let me know what you think in the comments! So a quick post for you today – this is one of the many Sally Hansen’s I ordered from a US based seller on eBay. I got several others at the same time. This is from the Xtreme Wear Color Vibrations Glitter Mania collection – from what I can see, its limited edition. There has been a lot of US blog chatter about how bad these glitter toppers are. This one is not an exception to that. As you can see, its a mix of bar glitter – which I know a LOT of you hate. This is just awful. Too much base and not enough glitter. I did two coats over white and you can see the image above which shows the fill line once I had done that. And the base bubbles like a biatch. Awful. Anyway, its pretty and I matted it up because the tiny bubbles were doing my head in!